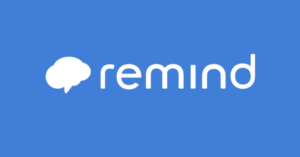 Remind.com is a free website that is incredibly useful for sending text message announcements and reminders to families of kids in your club. Here’s a brief overview of how to get started. Send an announcement. Start with the default announcement to the “class” sharing that you will be using Remind to communicate with them. They will be prompted to opt into your class using the class code (either the default or the one you created). Parents can reply to any messages you send, and replies will be sent directly to you, not visible by the whole group. Personalize your settings. Under settings, you can select options to have notifications sent to your e-mail and/or phone. If you select either of these options, you will be notified when someone responds to your Remind message. Stay in touch! Anytime you want to send a message to parents, you can create a class announcement. You can also schedule messages to be sent at a later day or time.